Pesticides and herbicides are some of the last things you’d expect to be in a “natural” capsule or tablet intended to support good health and healing. But that’s what can be found in many supplements. In fact, it can get you a seal of quality! One phrase from the NSF standards stuck out for me. Section 5.3.2 of the standards states the following: A broad pesticide screen shall be performed to confirm the absence of banned pesticides in botanical products. NOTE – A pesticide is considered banned if it appears in Annex III of the Rotterdam Convention. It set me wondering: If testing for banned pesticides is required, are there pesticides that are permitted? As it turns out, the answer is yes. A representative of NSF confirmed to me that residue from non-banned pesticides is permitted under their standards because theirs is not an organic certification. Pesticide residue is permitted, by the company providing “health and safety” certifications, in dietary supplements. This is why consumers are frustrated with the supplement market. Really–did it occur to anyone that pesticides would be acceptable ingredients in dietary supplements? At least with fruits and vegetables, one can wash or peel away much of the residue clinging to the product. How would you go about washing capsules of Echinacea? How do you peel psyllium hulls? Who would have thought you’d even need to ask that question? This is one of the many reasons I wrote Choose Well, the book set to be released in two weeks. 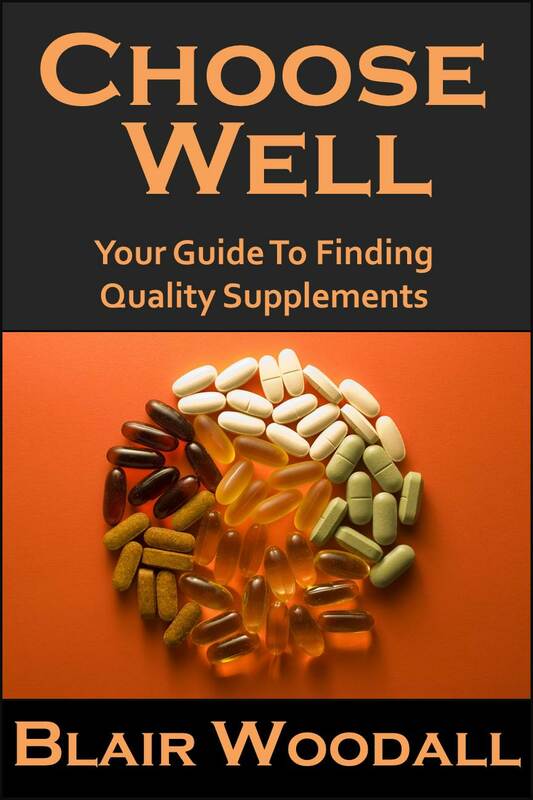 People need to know what all those touted standards and regulations actually mean, and they need to know how to find quality supplements made with truly high standards and ethics. It’s also one of the reasons I’m very, very picky about my dietary supplements. For decades, health professionals have debated whether the possible side effects of artificial sweeteners are worth the intended benefit of reducing obesity. * Supporters of the sweetener Splenda–a compound comprised of sugar bound with molecules of chlorine–have stated their product does nothing more than provide the taste of sweet. The study is small, but it has been reviewed by health professionals and found to sound. It recently appeared in Diabetes Care, the publication for the American Diabetes Association. Previous research from numerous institutions have found that artificial sweeteners increase insulin responses and decrease the efficiency with which the body processes glucose. This research, undertaken with human subjects, produced the same results. Researchers concluded that artificial sweeteners do indeed influence metabolic functions by impacting receptors in the gut that are similar to taste buds. In other words, the very taste of sweet is enough to alter how the body processes energy and information. Research participants first drank either a glass of water, or water containing sucralose (Splenda). Then they were given an amount of glucose commonly used to test an individual’s glucose tolerance. In those participants who drank the artificial sweetener, blood sugar peaked at a higher level than those who drank water. Even more troubling was the fact insulin levels were higher as well–up to 20% higher. It’s tempting to call that higher insulin response a potential positive. However, it’s well-known and established that repeatedly high insulin responses lead to insulin resistance, and resistance leads to Type II diabetes. Moreover, high levels of insulin have an established connection with high cholesterol. I do not expect this news to filter down to healthcare and wellness professionals for some time, and recommendations given to patients and clients will take even longer. But you can take action now by removing all artificial sweeteners from your diet. As much as we may want something to taste sweet (a survival instinct based on scarcity that’s out-of-sync with modern availability), we don’t need something as artificially sweet as sucralose and other chemical additives give us. About two weeks without sweeteners resets your taste buds to their more natural, non-crave-inducing state. If two weeks sounds like a long time, consider how quickly the last two weeks of your life flew past. Since time truly does pass in an eyeblink, why not invest those two weeks in order to gain possible years of active living? *Since the widespread use of artificial sweeteners in the food supply of the United States, the percentage of the population facing diabetes and obesity has increased exponentially. From NPR comes yet another update on the ADHD diagnosis debate. Note that there is a single reference to the impact of environmental toxins (pesticides, lead, etc.) and not a single reference to nutrient intake. After all, neither of those topics provide well-funded research opportunities that would uncover insurance-funded solutions. Besides, we already know about the pesticide link. Even the American Academy of Pediatrics knows about it. And we already know about the lead link, as is here outlined in the Journal of Child Psychology and Psychiatry. And we already know about the nutrition link. There are things in the food supply that shouldn’t be there, like aritificial colors (already banned in parts of Europe and Asia), and things that should be in the food supply but aren’t, such as Omega-3, critical minerals like magnesium, and healthy proteins. Do such basic and inexpensive interventions always work to solve all the problems for all the kids? Of course not. (The complex and expensive interventions don’t fit that bill either!) But nutrition-based interventions are less intrusive, less expensive, and have fewer side effects than the alternatives. There is no reason not to start with them! I’ve said this before, but I’m going to say it again: The time to designate your personal Health Advocate is while you are healthy. If you wait until you are hospitalized, in pain, and under the influence of narcotics, you might not even realize you need an advocate. Or, if you do realize it, may be unable to articulate it. Worse, if you are unable to communicate at all, a health advocate will be determined by fate alone (it’ll be your closest kin).